We all know and love magic squares, don’t we? 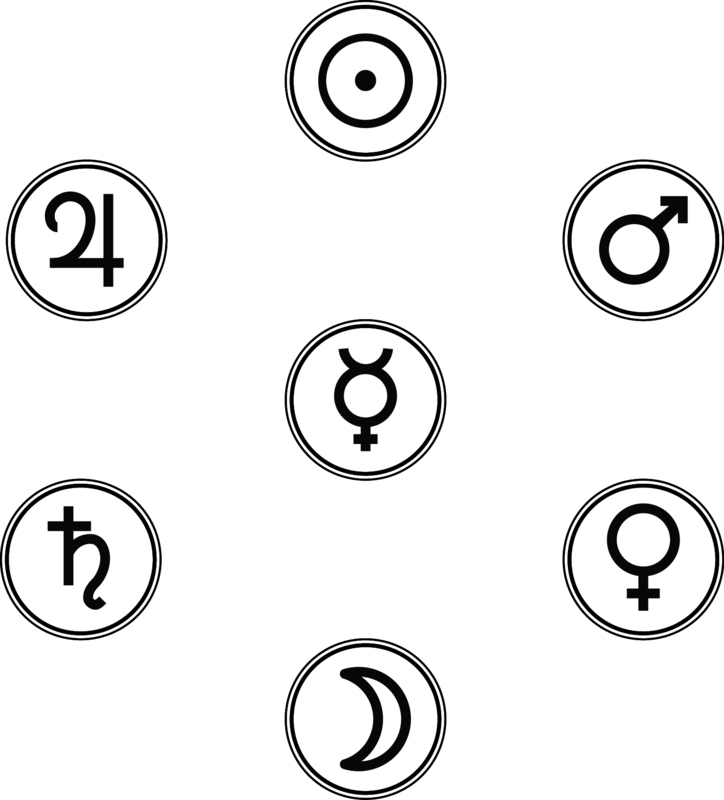 Those grids of numbers, sometimes called “qamea” (literally just meaning “amulet” or “talisman” generally in Hebrew, קמיע or qamia`), are famous in Western magic for being numerological stand-ins or conceptions of the seven planets, sure, such as the 3×3 square for Saturn, the 5×5 square for Mars, and so forth, but they’re also huge in Arabic magic, too, from which Western magicians almost certainly got the idea. Sure, magic letter squares are ancient in the West, such as the famous Sator Square from Roman times until today, and have more modern parallels in texts like the Sacred Magic of Abramelin, but magic number squares are fun, because they combine numerical and numerological principles together in an elegant form. Well…would you take a look at that? Geomantic magic squares! It took me a bit to realize what I was seeing, but once it hit me, I was gobsmacked. It might not be immediately apparent how to make a geomantic magic square, but it becomes straightforward if you consider the figures as numbers of points, such that Laetitia stands in for 7, Puer for 5, Carcer for 6, and so forth. 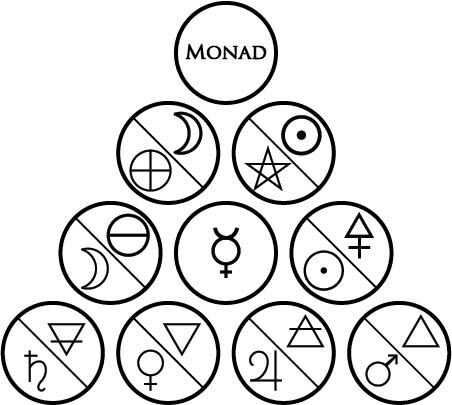 Sure, it’s not a traditional kind of n × n number square that goes from 1 to n², but there are plenty of other magic squares that don’t do that either in occult practice, so seeing a kind of geomantic figure magic square actually makes a lot of sense when they’re viewed as numbers of points. In this case, the magic sum of the square—the sum of the columns or rows—is 24. Consider that first magic square, elegant as it is. When it’s oriented on a tilt, such that one of its diagonals is vertical, we have the four axial figures (Coniunctio, Carcer, Via, and Populus) right down the middle, and all the other figures are arranged in reverse pairs in their corresponding positions on either side of the square. For instance, Amissio and Acquisitio are on either side of the central axis “mirroring” each other, as are Tristitia and Laetitia, Fortuna Maior and Fortuna Minor, and so forth. This is a wonderful geometric arrangement that shows a deep and profound structure that underlies the figures, and which I find particularly beautiful. Why this list? Note that the figure magic squares rely on counting the points of the figures. From that point of view, Puer (with five points) can be swapped by Puella, Caput Draconis, or Cauda Draconis in any given figure magic square and it would still be another valid magic square that would have the same underlying numerical structure. 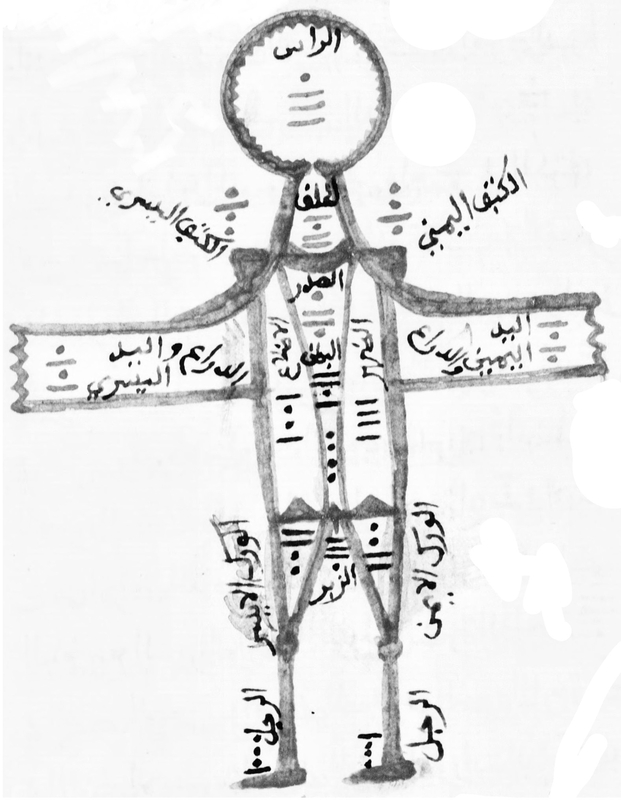 There’s only one figure with four points (Via), four figures with five points (Puer, Puella, Caput Draconis, Cauda Draconis), six figures with six points (Carcer, Coniunctio, Fortuna Maior, Fortuna Minor, Amissio, Acquisitio), four figures with seven points (Albus, Rubeus, Laetitia, Tristitia), and only one figure with eight points (Populus). If we simply focus on the point counts of the figures themselves and not the figures, we can simplify the problem statement significantly and work from there, rather than trying to figure out every possible combination of figures that would yield a magic square from the get-go. How does such a list get interpreted as a 4 × 4 square? There are 16 positions in the list, so we can consider the first four positions (indices 0 through 3) to be the top row of the square, the second four positions (indices 4 through 7) to be the second row, the third four positions (indices 8 through 11) to be the third row, and the fourth four positions (indices 12 through 15) as the fourth row, all interpreted from left to right. Thus, the first position is the upper left corner, the second position the uppermost inside-left cell, the third position the uppermost inside-right cell, the fourth position the upper right corner, the fifth position the leftmost inside-upper cell, the sixth position the inside-upper inside-left cell, and so forth. This kind of representation also makes things a little easier for us instead of having to recursively deal with a list of lists. How do we know whether any permutation of such a list, interpreted as a 4 × 4 square, satisfies our constraints? We need to add up the values of each row, column, and diagonal and make sure they add up to our target number (in our case, 24). Starting from this list, I set out to get all the unique permutations. Originally, I just got all 16! = 20,922,789,888,000 possible permutations, thinking that would be fine, and testing them each for fitting the target number of 24, but after running for twelve hours, and coming up with over 170,000 results with more being produced every few minutes, I realized that I’d probably be waiting for a while. So, I rewrote the permutation code and decided to get only unique permutations (such that all the 5s in the base list of numbers are interchangeable and therefore equal, rather than treating each 5 as a unique entity). With that change, the next run of the program took only a short while, and gave me a list of 368 templates. We’re getting somewhere! Excellent; this is a totally valid geomantic figure magic square, where the point counts of each row, column, and diagonal add to 24. To further demonstrate the templates, consider the two images of the figure magic squares I shared at the top of the post. However, although I was able to find the first magic square given at the start of the post (the green-on-sepia one), the second one (blue with text around it) didn’t appear in the list. After taking a close look at my code to make sure it was operating correctly, I took another look at the square itself. It turns out that, because although all the rows and columns add to 24, one of the diagonals adds up to 20, which means it’s not a true geomantic figure magic square. Welp! At least now we know. Rotating a square clockwise once. We know that we can rotate a square up to three times, which gets us a total of four different squares (unrotated, rotated once, rotated twice, rotated thrice). We know that we can leave a square unflipped, flipped horizontally, flipped vertically, and flipped both horizontally and vertically. We know that a square can be rotated but not flipped, flipped but not rotated, or both rotated and flipped. However, it turns out that trying out all combinations of rotating and flipping gets duplicate results: for instance, flipping vertically without rotating is the same as rotating twice and flipping horizontally. So, instead of there being 16 total transformations, there are actually only eight other templates that are identical in structure but just transformed somehow, which means that our template count of 368 is eight times too large. If we divide 368 by 8, we get a manageable number of just 46 root templates, which isn’t bad at all. That second one, for instance, is the root template of that first figure magic square given above (green-on-sepia), unflipped and rotated clockwise twice. So, with these, we end up with these two root template squares, from which can be developed eight others for each through rotation and reflection, meaning that there are 16 template squares that are super magical, which means that there are a total of 6,635,520 possible figure squares—414,720 per each template—once you account for all variations and combinations of figures in the slots. That there are 16 templates based on two root templates is suggestive that, maybe, just maybe, there could be a way to assign each template to a geomantic figure. I mean, I was hoping that there was some way we’d end up with just 16 templates, and though I was ideally hoping for 16 root templates, two root templates is pretty fine, too. With 16 figures, there are at least two ways we can lump figures together into two groups of eight: the planetary notion of advancing or receding (advancing Populus vs. receding Via for the Moon, advancing Albus vs. receding Coniuncto for Mercury, advancing Fortuna Maior and receding Fortuna Minor for the Sun, etc. ), or the notion of entering or exiting figures. Personally, given the more equal balance of figures and the inherently structural nature of all this, I’m more inclined to give all the entering figures to one root template and all the exiting figures to the other. As for how we might assign these templates to the figures, or which set of templates get assigned to the entering figures or exiting figures, is not something I’ve got up my sleeve at this moment, but who knows? Maybe in the future, after doing some sort of structural analysis of the templates, some system might come up for that. More than that, how could these squares be used? It’s clear that they’ve got some sort of presence in geomantic magic, but as for specifically what, I’m not sure. Unlike a geomantic chart, which reveals some process at play in the cosmos, these geomantic squares are more like my geomantic emblems project (and its subsequent posts), in that they seem to tell some sort of cosmic story based on the specific arrangement of figures present within the square or emblem. However, like those geomantic emblems, this is largely a hammer without a nail, a mathematical and structural curiosity that definitely seems and feels important and useful, just I’m not sure how. Still, unlike the emblems, figure squares actually have a presence in some traditions of geomancy, so at least there’s more starting off there. Perhaps with time and more concentrated translation and studying efforts, such purposes and uses of figure squares can come to light, as well as how a potential figure rulership of the sixteen most-magical templates can play with the 414,720 different arrangements of figures on each template and how they feel or work differently, and whether different arrangements do different things. Heck, there might be a way to assign each of the different combinations of figures on the templates to the figures themselves; after all, 414,720 is divisible by 16, yielding 25,920, which itself is divisible by 16, yielding 1620, so there might be 1620 different figure squares for each of the 256 (16 × 16) combinations of figures. Daunting, but hey, at least we’d have options. So maybe 24 is one of those emergent properties of some applications of geomantic magic that could be useful for us. Perhaps. It’s worth exploring and experimenting with, I claim. In the meantime, I’ll work on getting a proper list drawn up of all the templates for the various types of geomantic magic squares—ranging from less magic to more magic—at least just to have for reference for when further studies are or can be done on this. This is more of a curiosity of mine and not a prioritized topic of research, but at least I know it exists and there’s the potential for further research to be done on it for future times.